If you are planning a visit to Japan and wish to experience one of the heights of Japanese luxury and culture, including a trip to an onsen is highly recommended. Onsen (温泉) are naturally-occurring hot springs that are found throughout the island nation. As Japan is located directly on the Pacific Ring of Fire, it comes as no surprise that the nation is home to over 25,000 hot springs! Beginning as health spas, onsen has developed into one of the most popular tourist attractions in Japan as well as greatly influenced Japanese bathing culture. It is not uncommon for families, couples, and friends to take weekend trips just to visit an onsen and its surrounding areas. Onsen are an incredibly relaxing way to enjoy one of Japan’s oldest and most popular traditions. Although the exact beginnings of onsen in Japan are unclear, hot springs are referenced in the Nihon Shoki, which was written in the second half of the 1st century. Within the Nihon Shoki text, three of Japan's oldest onsen are referenced: Ehime Prefecture's Dogo-Onsen, Wakayama Prefecture's Shirahama Onsen, and Hyogo Prefecture's Arima Onsen. Another ancient text, Manyoshu, also refers to numerous onsen areas throughout Japan. The popularity of onsen came as they developed alongside the network of railways that now cover all of Japan. Onsen have recently come to play a major part in the Japanese tourism industry, but it is understood that throughout history they weren't always accessible to everyone. For example, during the Kamakura period, onsen were considered a luxury and were referred to as a "health resort," visited mainly by nobility and the warrior class. 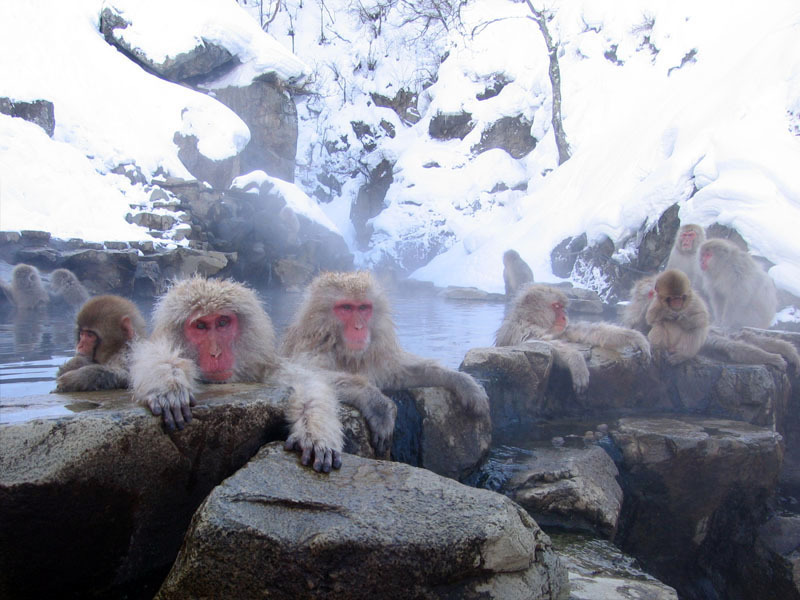 It wasn't until later times that the common person was allowed to use onsen. Today, they serve as a fun and relaxing way for friends, colleagues, families, and couples to not only decompress from the busy city life, but also to strengthen social bonds. The most popular times to visit onsen are during extended weekends and holidays (such as Golden Week or New Year's), but they are frequently enjoyed as overnight getaways as well. What is an Onsen and why are they so popular? Besides their warming and therapeutic qualities, onsen were believed to possess mystical and holy powers because of the mineral content of the geothermal spring water. On top of this, the process of creating a fire to heat water for a bath was historically quite an ordeal, so the natural hot water emanating from the earth became something that was highly valued. The Japanese were not the only bath-lovers; looking at other cultures around the world, one of the most well-known examples that comes to mind is that of the Ancient Romans, whose bathhouses can still be visited to this day. To be certified by the Japanese government (regulations known as onsen-hou, 温泉法), an onsen must be comprised of natural spring water that is at least 25°C in its natural state and contain at least 1 of 19 specific mineral or chemical elements within a certain parameter. Minerals such as sulfur, iron, and magnesium are said to have therapeutic properties that can help promote healthy skin, reduce aches and pains, and even boost the immune system. 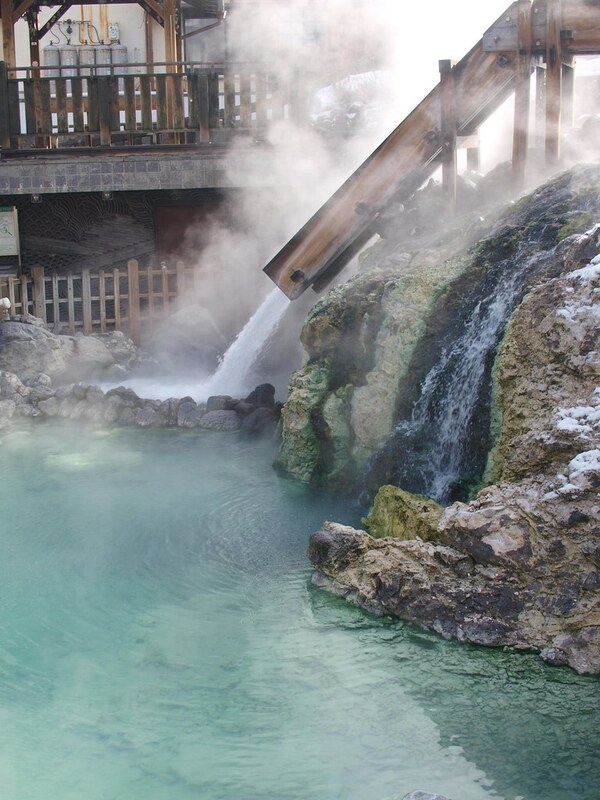 Many onsen advertise the specific mineral content of their water as well as the accompanying healing effects, drawing bathers to reap the benefits of these mineral nutrients. Another reason why onsen are so popular today is the development around them. Onsen are a naturally occurring geothermal phenomenon found throughout Japan, but their presence frequently resulted in the development of towns and villages in the surrounding areas. These are known as onsen machi (温泉街), and they often feature ryokan, which are similar to Japanese traditional inns. Many ryokan will often utilize the natural hot-spring water in their own baths, further drawing more customers to their services. With the presence of the hot springs and the comfort of the Japanese ryokan, the final attraction lies in the food. Many ryokan feature fresh, local cuisine as well as regional specialties, sometimes only found within that area. Onsen serve as the foundation upon which these tourist attractions thrive. Visiting an onsen for the first time can be quite intimidating, and as one might expect, there are various rules (etiquette) that should be remembered when utilizing the hot springs. Typically, there will be a locker room available for you to put personal belongings and clothes in. It is here that you will remove your clothing and place all belongings into your locker, taking to the spa nothing with you except the locker key and a small wash towel. You can either bring a small towel with you, or a towel can usually be purchased at the front desk. The first step in any onsen experience is to thoroughly wash your entire body before entering the water. There is usually an area with individual faucets where can sit in front of and bathe, using the body soap and shampoo provided. This is when you can use your wash towel to get those hard-to-reach places. If there is no stool or wash bowl to use, you can usually find them stacked up near the entrance; don't forget to put back what you take after you're done using it! After you're squeaky clean (head to toe! ), you can proceed to the bath. Depending on the onsen, there might be various types of baths, often with different water temperatures for your enjoyment. Water jets, outdoor spas, lukewarm baths, cold water baths, and saunas are quite commonly found in many establishments. Sometimes, onsen will have neyu (寝湯), or a shallow bathing area that is mildly warmed to a comfortable temperature, featuring a headrest so that you can take a moment to rest while enjoying the warmth of the hot spring. 1) When moving around in the bathing area, it is polite to use your wash towel to cover your private areas. 2) When entering the bath, be sure that your wash towel (even if it is brand new) doesn't come in contact with the bath water. If it does, make sure to wring it out outside of the bath for sanity reasons. When resting in the bath water, it is proper to leave your towel outside of the bath on the side, or sometimes bathers will even rest the towel on their head. 3) One must enter the bathing area without any clothes; no bathing suits and no underwear. From a Western perspective, this might be embarrassing, but the Japanese don't give this a second thought. When in Rome, do as the Romans do! 4) Tattoos are typically prohibited, and this is due to their connection with Japanese gangsters. Although recently some ryokan will make exceptions, please be aware that tattoos are often not allowed in public bathing areas. Kashikiri onsen (貸切温泉) refer to onsen that can be rented out privately, allowing those with tattoos to enjoy the benefits of onsen. Visiting Japan's impressive list of temples, shrines, museums and scenic vistas might leave you (and your feet) wearied and looking for respite. A visit to an onsen is a perfect way to relax and rejuvenate your body while experiencing a Japanese pastime once reserved for the nobility. Whether it's the health benefits, the gorgeous views that accompany the onsen, or just the simple concept of relaxing one's weary body in hot water, Japanese people have come to truly adore the bountiful hot springs that are found throughout the island nation.